Prior to the last few years, conventional medicine failed to consider leaky gut as a potential origin of any health conditions. That has changed. Now, even conventional medicine is at least beginning to understand how important your gut is to your overall health. Part of the reason for this change has to do with the discovery that up to 80% of your immune system resides in your gut. Another reason is due to an increasing understanding of the importance of nutrition in your overall health. Even recently researchers and clinicians are still making big discoveries about how much your gut and your brain communicate. Now, there is clear evidence that your brain and gut communicate directly. More researchers and healthcare professionals are becoming aware of the importance of the barriers in both the gut and the brain. 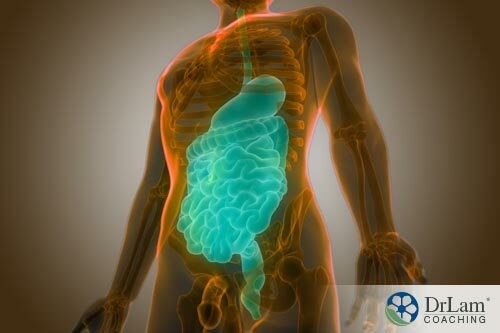 In the gut, this barrier is made of endothelial cells that serve to keep everything where it belongs, from food particles and waste to toxins and organisms that can harm you. This is in the intestine where it can be expelled from the body. However, when a leaky gut allows these particles and organisms to escape into other parts of the body, problems proliferate. Leaky gut is a condition that occurs when the endothelial cells lining the intestine develop loose junctions or spaces between them. Ordinarily, the junctions are tight, allowing only nutrients to pass through. Unfortunately, under certain conditions the junctions become loose, allowing partially digested food particles and toxins to pass through into the bloodstream. These molecules are larger than the nutrients normally passing through the gut barrier. When these other molecules pass through leaky gut walls into the bloodstream, the immune system recognizes them as foreign particles invading the body. This activates the immune system to fight the invasion. One result is increasing inflammation that can spread throughout the body. There are numerous factors that can lead to a weakening of the gut lining. Among them are poor nutrition, increased inflammation in the gut, low levels of good bacteria in the gut, infections, and parasites in the gut. Some medications, especially if they’re overused, can also injure the intestinal lining. Ibuprofen, aspirin, and other NSAIDs are especially problematic. Antibiotics can also be implicated in leaky gut. Antibiotics not only kill the bacteria that are causing illness, but also the bacteria that work in your gut to properly digest food. And since antibiotics are among the most overused medications in the U.S., this means more and more people are dealing with a shortage of good bacteria in their gut. With the possibility of so many illnesses resulting from leaky gut, it becomes very important to measure it accurately. This can give healthcare professionals the information they need to be able to address the issue adequately. The traditional method of assessing the presence of leaky gut is to measure the level of zonulin in the blood. Zonulin is a protein that controls how large the openings between the lining of the gut and the bloodstream become. If your gut is healthy, the openings will be small, just large enough for the transport of nutrients. But if the levels of zonulin get too high, these openings enlarge. If the high zonulin levels remain, even more, damage to the microvilli in the gut can occur. This can lead to problems in absorbing nutrients. Some of the triggers that lead to an increase in zonulin include candida yeast, gluten, parasites, and harmful bacteria. However, there have been problems with measuring zonulin as a way to assess the presence of leaky gut. While the use of topical or oral steroids will not cause false negatives, consuming corticosteroids may lead to false positives because zonulin levels can increase in the presence of these steroids. In those who are obese or have glucose intolerance, false positives for leaky gut may be found. Recent research has shown zonulin is no longer present in the bloodstream after one or two hours, leading to decreased reliability of this test. Even though zonulin testing has been the traditional method of assessing leaky gut, it isn’t the most recommended method currently. More accurate measurements can be achieved by testing for antibodies to IgA or IgG. IgA antibodies are the most produced daily in the bloodstream. These antibodies form when the lining of the gut has been compromised, allowing undigested food particles to enter your bloodstream. Testing for the presence of these antibodies in the blood is a more accurate way to determine whether leaky gut is present. This is another one of the antibodies that can be measured when testing for the presence of leaky gut. Once again, as with IgA, this antibody is produced in response to undigested food particles crossing the lining of the gut. When the permeability of the gut is increased and these particles and toxins get into your bloodstream, more of these antibodies are produced by the immune system to fight against what it considers invaders in your system. When the gut allows these particles to pass through, the immune system becomes more sensitized to foods it might have tolerated previously. Gluten and dairy products are among the most likely foods may become intolerant of. Some of these sensitivities are subtle and may not be recognized, leading to a low-grade inflammatory state. If this state continues, it may lead to more damage and more inflammation. The increased inflammation can then lead to several chronic health conditions over time. These tests are an important way to measure levels of good bacteria in your gut, to determine whether inflammation markers are present, to get an idea of your overall gut health, and as a way of measuring intestinal immune functioning. Probiotic levels and the presence of microbes, both good and bad, are also seen in stool tests. 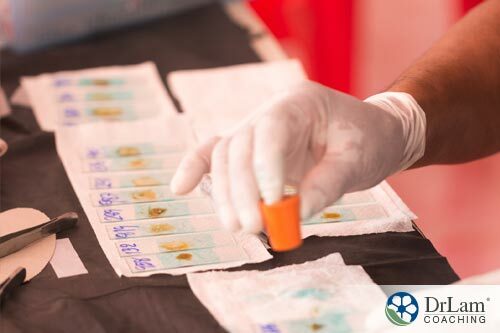 The presence of pathogens like yeast, unhealthy bacteria, or parasites can also be detected with these tests. These microorganisms can lead to neurological dysfunction, leaky gut, and chronic conditions. When the leaky gut is present, you have difficulty absorbing nutrients, leading to vitamin and mineral deficiencies. This happens because the microvilli in the gut are damaged and not able to assist with the absorption of nutrients. When these microvilli don’t work correctly, some large molecules like gluten are allowed to pass through the gut lining and smaller molecules that should pass through are blocked. The lack of absorption of nutrients also prevents the detox of antigens produced by the immune system in the face of increasing inflammation. This test will measure not only deficiencies in vitamins and minerals but also deficiencies in amino acids that can result when microvilli are damaged. Levels of antioxidants and bacteria, along with information about how your body metabolizes fats, proteins, and carbohydrates are also obtained with this test. 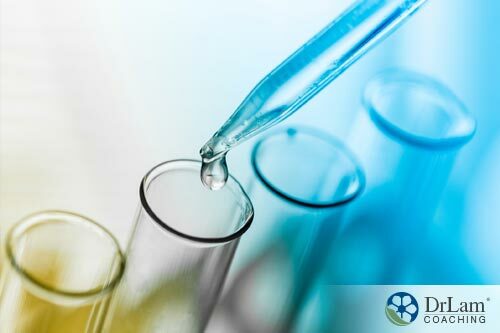 When high levels of organic acids are detected, it signals possible toxic buildup, yeast growth, or nutrient deficiency. This test measures how much these two sugars permeate the gut lining. Mannitol is a small molecule and typically easily absorbed. Lactulose is larger and not as easily absorbed. The sugars are taken beforehand and your urine is then measured to see the absorption of these molecules. Depending on the levels found in your urine, this will indicate how permeable your gut is. There are some potential problems with this test. One possibility is that it may increase symptoms associated with Small Intestine Bacterial Overgrowth (SIBO) as the sugars help to feed the bacteria. Another problem with this test is that it can’t analyze the passage of large antigenic molecules. These molecules can cross the epithelial barrier and trigger the immune response. While it does measure small sugar molecules, these molecules don’t trigger the immune system. Measuring lactulose doesn’t give you any information about whether food particles cross the epithelial barrier. The lactulose molecules are too small. Testing for the presence of these endotoxins has been suggested as a way to measure the presence of leaky gut. LPS are large molecules found in gram-negative bacteria. One of the results of having LPS is the release of proinflammatory cytokines. Testing positive for antibodies to these endotoxins shows infiltration of the macromolecules through the lining of the intestines into the bloodstream. The use of a Large Molecule Intestinal Permeability Identification (LMIPI) lets researchers and clinicians assess the presence of large molecules as big as food particles. These molecules will trigger an immune response if they pass through the intestinal lining. One of the benefits of testing for LPS is easily identifying the level and cause of leaky gut. Another benefit is the ability of the LMIPI to find large molecules that may be present. Analyzing the LMIPI results also gives a better idea of any dysregulation of the intestinal immune system. However, there are drawbacks to this testing. One significant drawback is that LPS has a half-life in the blood of only two to four minutes. Unless there are very large amounts of LPS antibodies in the blood, it would be difficult to detect their presence. Steroids also negatively affect the assessment of these antibodies. You would have to be completely off steroids for up to 60 days prior to testing. In addition, current lab values are based on adults only. This significantly limits the usefulness of this test for children and young adolescents. This is one of the larger components of the proteins that maintain the tight junctions between the epithelial cells in the lining of the intestine. If there are antibodies against occludin found on testing, it would indicate that a leaky gut has caused the breakdown of these tight junctions. The same test, LMIPI, is used to detect antibodies for occludin. This is a protein complex that helps keep the tight junctions between epithelial cells in the intestinal lining flexible. If there are antibodies to this protein found on testing, it indicates dysregulation of this intestinal lining by cell infiltration. The LMIPI test is the one used to detect these antibodies.